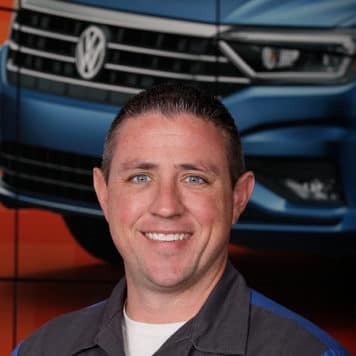 Nate has been with Penske Automotive Group and Volkswagen North Scottsdale since 2009. Nate is from East Grand Forks, Minnesota, and moved to AZ in 1996! 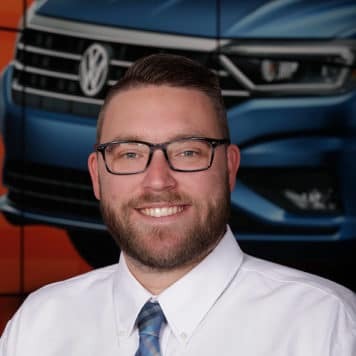 Nate earned his Bachelor’s Degree in Business Management and Marketing, and he is VW Master Certified. When Nate is not working you’ll find him Off-Roading, riding his Harley, or hiking! 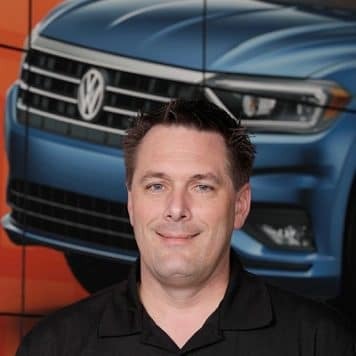 Tukk has been with Penske Automotive Group and Volkswagen North Scottsdale since 2005. Tukk is from Golem, Albania and moved to Arizona in 2000. 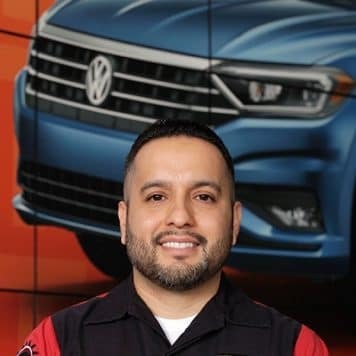 He earned his Bachelor’s Degree from Arizona State University, and is Volkswagen Master Certified. When he is not working you’ll find him playing soccer, at the gym, or hiking. Tukk’s favorite VW is the Golf R—because it’s quick, fun and efficient. 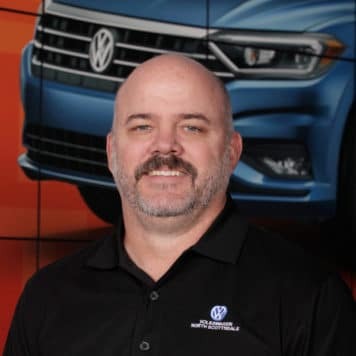 Chuck has been with Penske Automotive Group and Volkswagen North Scottsdale since 2011. Chuck has been in the automotive industry since 1973 and moved from Chicago, Illinois to Arizona in 1998. 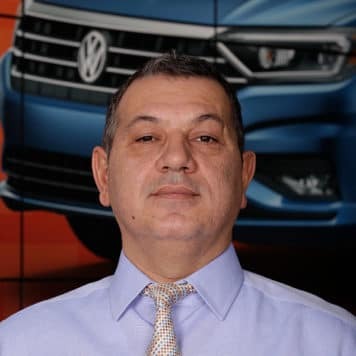 His awards and achievements include his Volkswagen Master Certification. Chuck’s passions and hobbies include; old cars, golfing, and fishing. 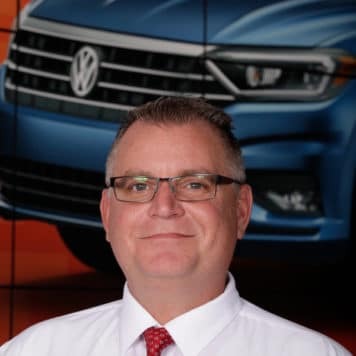 Tom joined Penske Automotive Group and Volkswagen North Scottsdale in 2018. Tom is from Milwaukee, Wisconsin, and moved to Arizona in 2014. Tom earned his Associates Degree in Applied Sciences and Business Administration. When he is not working you will find him Golfing or hiking! 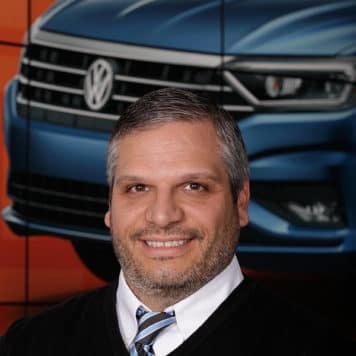 Tom’s favorite VW is the Passat—for its feel of luxury and the great value! Jeff joined Penske Automotive Group in 2010, as a Sales Valet at Land Rover North Scottsdale. 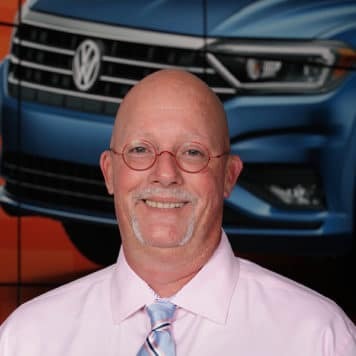 In 2015, Jeff joined Volkswagen North Scottsdale as a Sales Consultant. 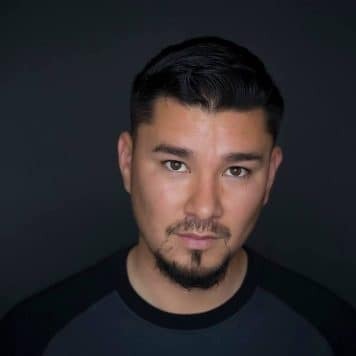 Jeff is an Arizona Native, and graduated from Arizona State University with his Bachelor’s Degree. 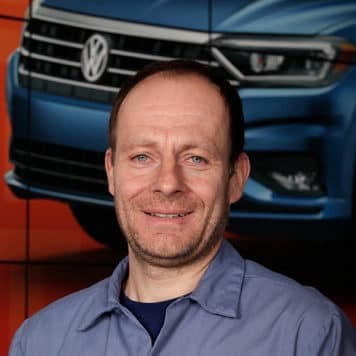 Jeff is Volkswagen Master Certified, and his passions and hobbies include; golfing, watching sports, and brewing his own craft beer! 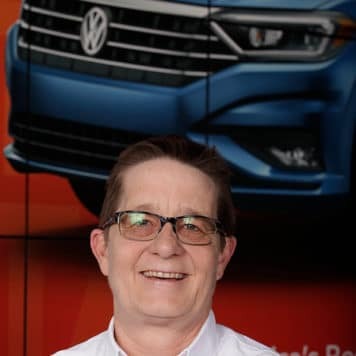 Fern has been with Penske Automotive Group and Volkswagen North Scottsdale since 2016. 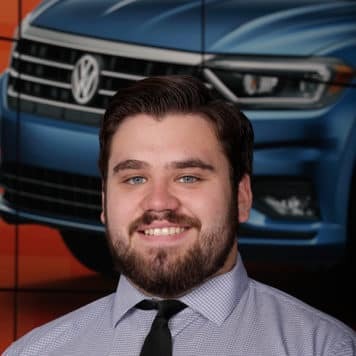 His hard work ethic and motivated spirit quickly got him promoted from Sales Valet to Sales Consultant in 2017. Fern is from Phoenix, AZ and an Arizona Native. 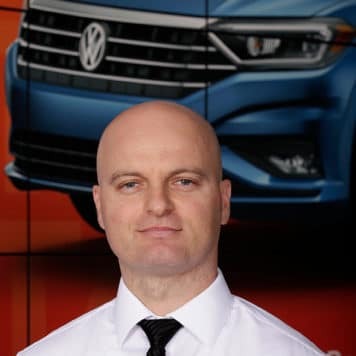 His awards/achievements include earning his VW Master Certification. When he is not working, you can find him playing sports, video games, or watching his favorite scary movies or shows. 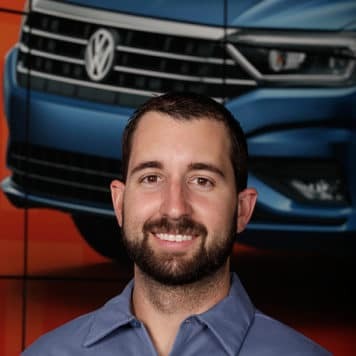 Parker joined Penske Automotive Group and Volkswagen North Scottsdale in November of 2018. Parker has spent 3 years working in the automotive industry as a mechanic. He is from Mesa, Arizona and is an Arizona Native. Parker spent 3 years at Mesa Community College studying business. When not at work, you will find him playing music, working on cars, riding BMX, hunting and off-roading! David is our Senior Associate and Internet Manager. He has a passion for the brand, and has been with the company since 2004. He is originally from New Jersey, but moved to the Valley in the 80’s to finish school. Dave has been awarded Salesman of the Year 11 of his 15 years of tenure. 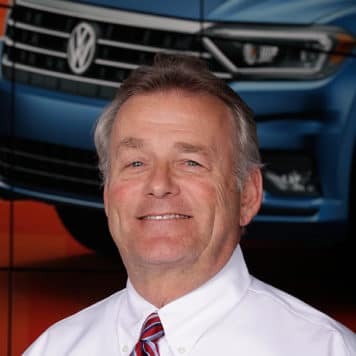 His achievements include Master Certification, Ten Time Sales Guild Recipient, Best of the Best AZ/ NV Market Award, and 3 time Penske Sales Performance Recipient. When not at work, you’ll find Dave on the golf course or taking road trips in his Golf GTI. 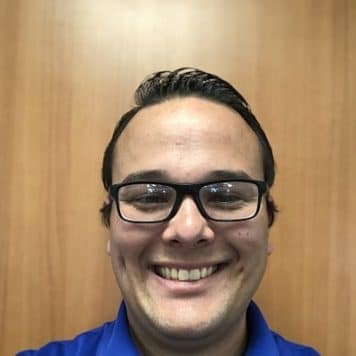 Eric joined Penske Automotive Group in 2009 as a Valet a Land Rover North Scottsdale. 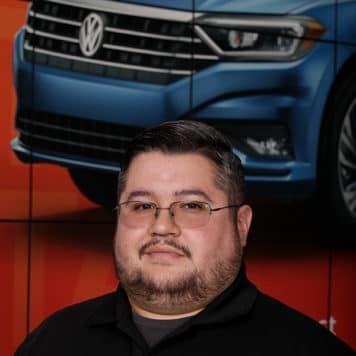 In 2013, Eric started in the Internet department at Volkswagen North Scottsdale, where he established his position as an Internet Sales Manager. Eric moved to Phoenix in 1994, from Flagstaff, Arizona. 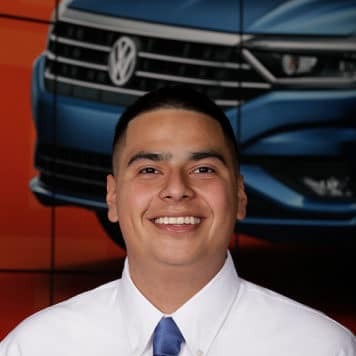 Eric has been Volkswagen Master Certified since 2014, and an Eagle Scout! Eric’s passions and hobbies include; camping, hiking, off-roading, and dog training. Eric’s favorite VW is the Golf R–because of the subtle blend of performance, comfort, and utility. John was born in Starkville, Mississippi but grew up in Stuttgart, Germany. He attended Mississippi State University, and served in the United States Army (25th Infantry Division) for five years. John attended BMW training facilities throughout the US from 1995 to 2015, and earned his Master Technician Certification in 2000. In 2003, John moved to Arizona from Macon, Georgia. He joined BMW North Scottsdale as a Master Technician, as well as mentored apprentice technicians. 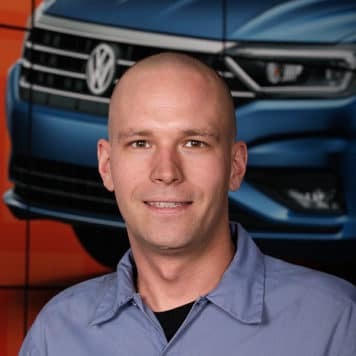 In 2015, John joined Volkswagen North Scottsdale as a Service Consultant. When he is not working, John enjoys riding motorcycles and sport shooting. He has also spent time in competitive racing. 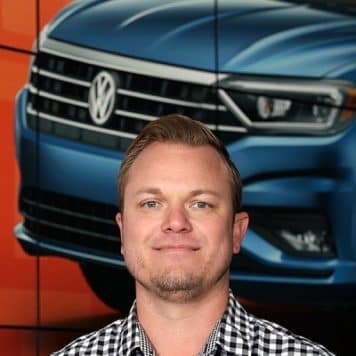 John’s favorite VW’s are the Golf R, and Golf Alltrack–because they are both functional, fast, and extremely fun to drive. Tim is from Minneapolis, Minnesota and moved to Arizona in 1988. 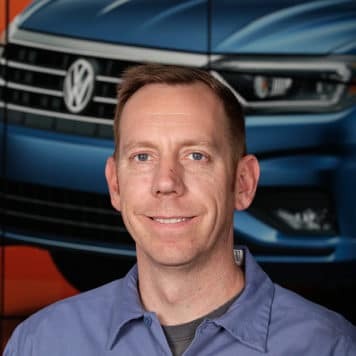 Tim earned his Associates Degree in Automotive Technology, and managed a large tire chain before joining Volkswagen North Scottsdale in 2018. Tim enjoys watching football and hockey- as well as playing soccer, and spending time with his family. 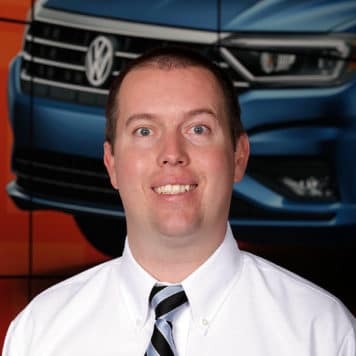 Tim’s favorite Volkswagen is the TDI Touareg, because of the great low end torque, and it handles extremely well. Stef Haslam moved from Salem, Oregon to Phoenix, Arizona and started her career in the automotive business as a parts driver. As a parts driver, Stef enjoyed learning the city and establishing great relationship with clients. Stef joined Penske Automotive Group in 1998 as Parts Manager of the Land Rover Phoenix store. As PAG West expanded and added new dealerships, Stef was able to learn and experience new brands and new PAG West team members. 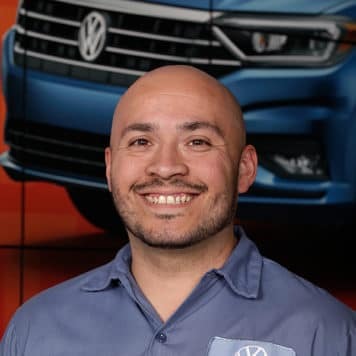 Stef joined the Volkswagen North Scottsdale team in 2006. Stef enjoys the fun and unique brand. Stef’s favorite Volkswagen is the Tiguan because it’s the perfect size SUV and looks cool. 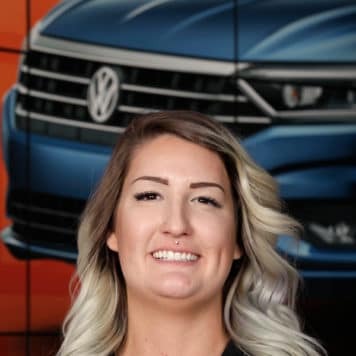 When Stef is away from the dealership she hangs out with her dog, takes road trips with her family and friends, and is an avid Phoenix Mercury fan. Robert moved from Albuquerque, New Mexico to join the Penske Automotive Group in 1999. Robert has extensive experience in many different PAG brands. 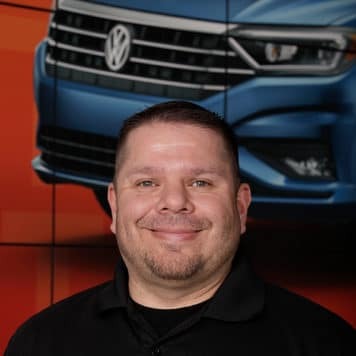 Robert’s excellent customer and leadership skills elevated him to join the Volkswagen North Scottsdale team as assistant Parts Manager in 2008. 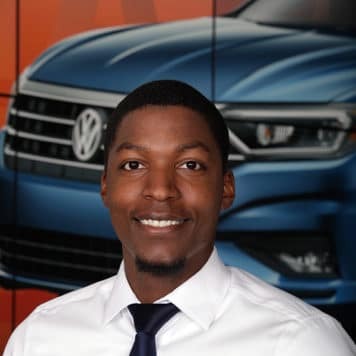 Robert’s passion for learning lead him to achieve Volkswagen Master Parts Certification in 2010 and Bachelor of Science Business in 2016. 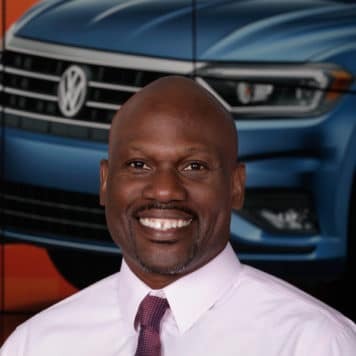 Ronnie is an Arizona native, and joined Penske Automotive Group and Volkswagen North Scottsdale in 2003. Ronnie started his career as a valet in the sales department. 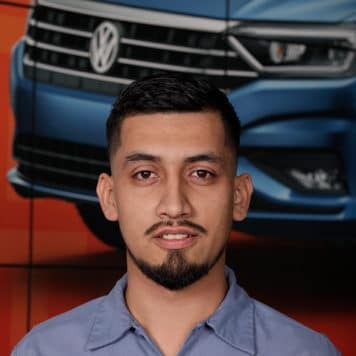 Ronnie’s attention to detail and customer care skills caught the attention of the Volkswagen Management Team and he was promoted to Parts Specialist. Ronnie has a passion for excellence. 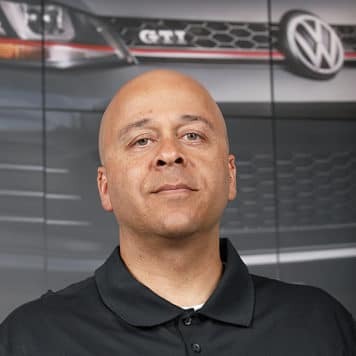 Ronnie achieved Volkswagen Parts Master Certification in 2010. 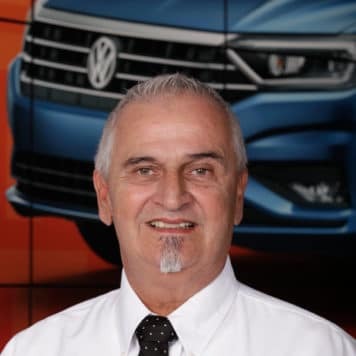 Ronnie also has competed as a top 12 finalist in the Volkswagen Retail Qualification Championships in 2015 and 2018. Ronnie’s biggest passion is taking road trips in his 2000 Golf TDI (the Green Machine) to cool places where he can skate and explore. 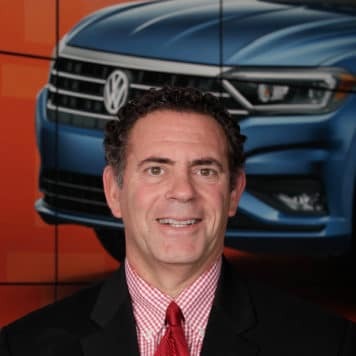 While Ronnie loves his “Green Machine”, his favorite Volkswagen is the 2018 GTI. When we asked him why he said “I love the plaid interior and it’s a little hot rod”. Les is a proud Arizona native. He was born and raised in Phoenix, Arizona and is a huge Sun Devil and Diamondbacks baseball fan. Les joined Penske Automotive Group-West in 2013 as a service valet at BMW North Scottsdale. 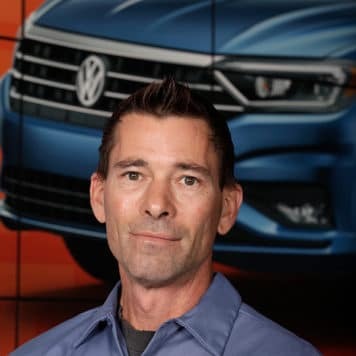 Les’ work ethic and customer skills caught the attention of PAG management and he was promoted to Parts Specialist at Volkswagen North Scottsdale in 2014. 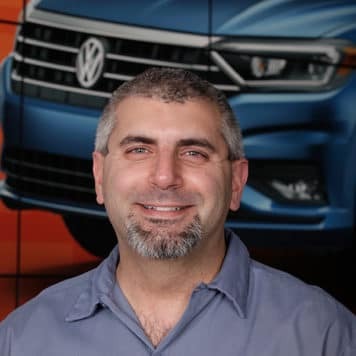 Les’ dedication to our customers and the Volkswagen brand led him to achieve Volkswagen Parts Master Certification in 2018. Les has a passion for baseball that started with his Dad and their little team through High School. Les now slams homeruns in his softball league and is passing his baseball knowledge down to his nephew and son.